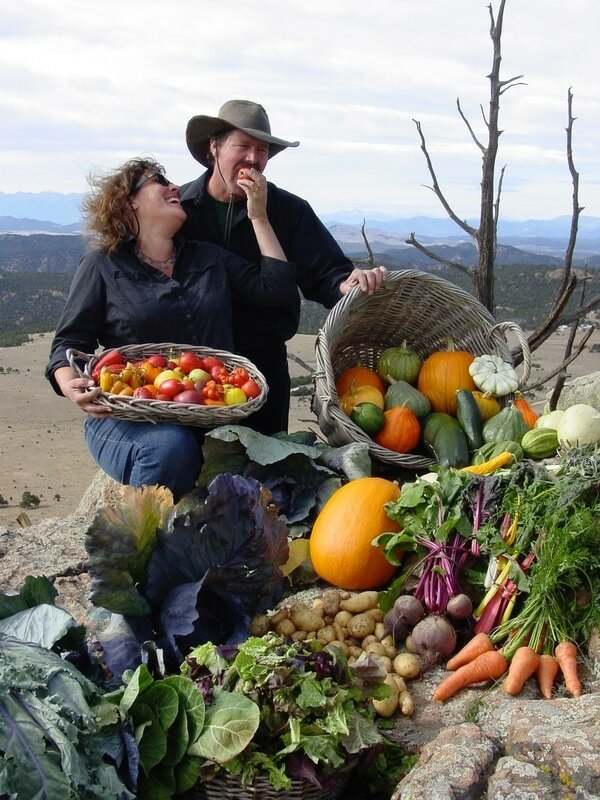 We are Penn and Cord Parmenter and we are mountain food and seed growers and high altitude gardening teachers. We have many passions in the mountain garden, we especially love growing corn and pumpkins in the open garden, Siberian and Russian tomatoes under cover, medicinal and culinary herbs and many varieties of perennial natives. We also design and build totally sustainable greenhouses that heat, cool and ventilate themselves without the use of fossil fuel. We are owners of Smart Greenhouses LLC and Miss Penn's Mountain Seeds. 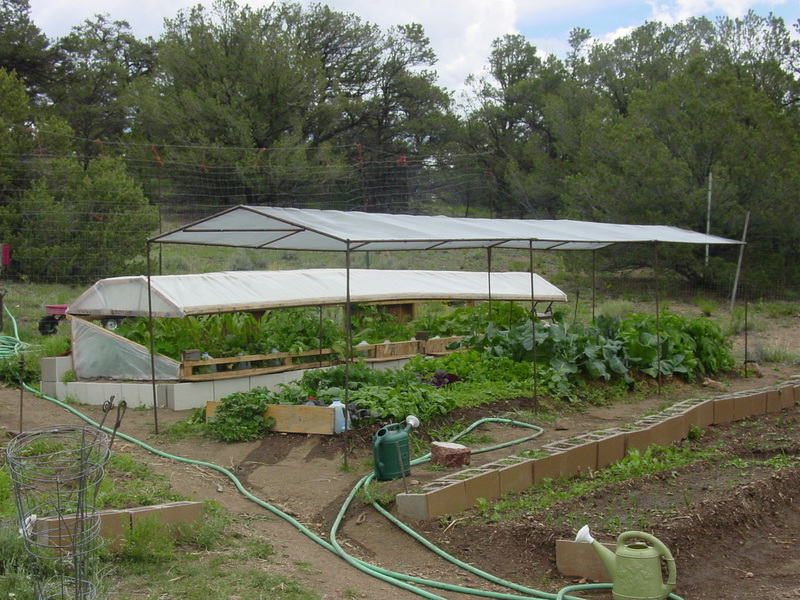 Mostly we grow food, lots and lots of food, and here's the best part - we grow lots of food in less space with less water. Right now we are only growing on about 1/5 of an acre yet we are producing the same amount you would see on 4/5ths or 1 acre. Sound familiar? Bio-Intensive growing has proved out for us beyond our wildest dreams. 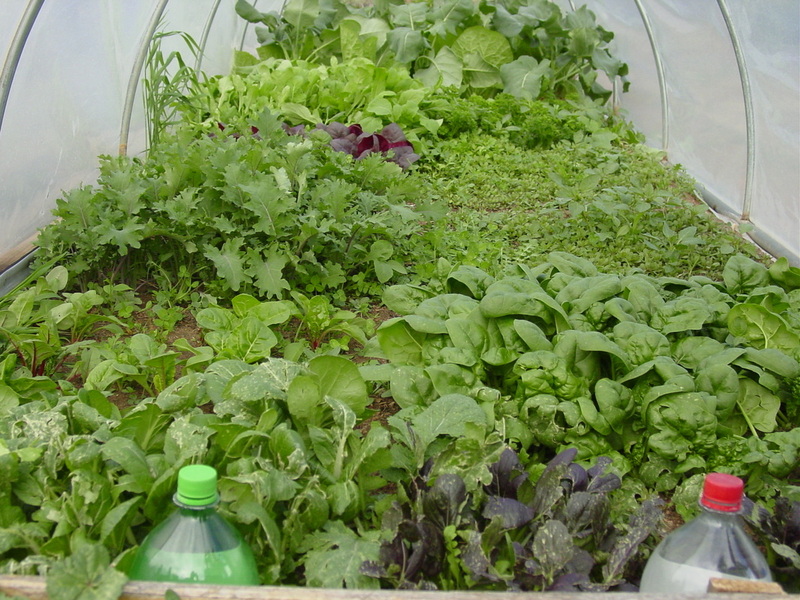 This is how you grow more food with less water in less space. 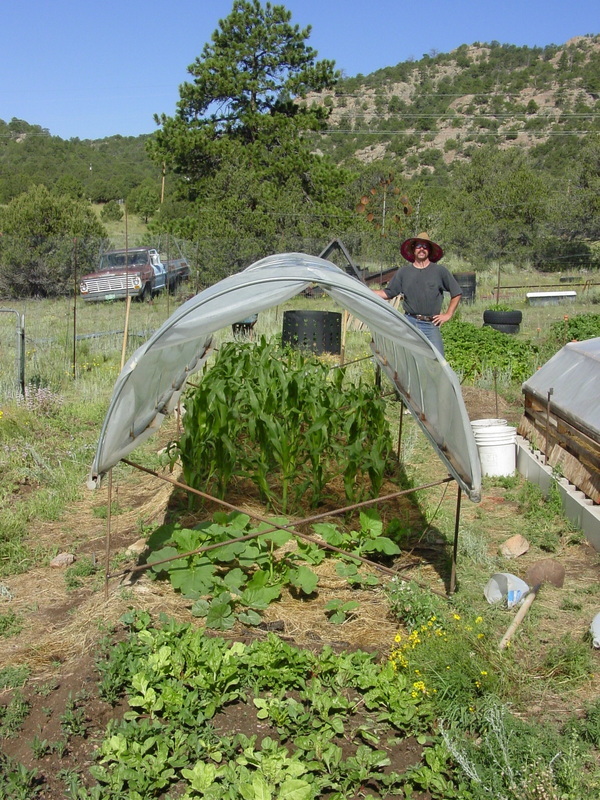 In combinations with other techniques, we have conquered growing tomatoes at high altitudes, pumpkins way bigger than your head, full ears of sweet corn and French melons. As elevations increase we teach ways to define and ultimately overcome the challenges of the high country. We respect the earth and all its systems and try our best to emulate nature. We grow organically and let the plants teach us. Cord says, love grows the garden, not money, and that is certainly true for us. 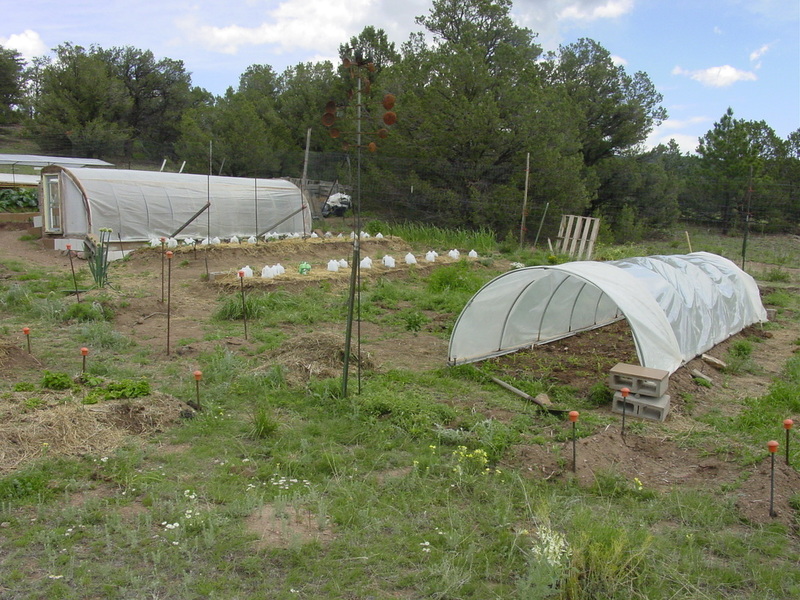 Since 1992 we have been growing food at 8,120 ft. in the Wet Mountains. Every year is new and different and another great teacher. We could never claim to have it all figured out - the earth is mysterious and wise and we are avid students, all we can do is keep trying. We have three gardens but below enjoy pictures of Penn's Forest Garden and Cord's Bio-Intensive Garden. Penn's Garden is on top of the mountain on decomposed granite and Cord's is below in the rich bottom land. Cord's is in the open and Penn's is in the trees. The picture at the top of the page is the view of the Sangre de Cristos from Penn's Garden in winter. Take a look at our site and see for yourself, no matter what, we hope these pages will inspire you to get started immediately on your beautiful Rocky Mountain garden! Grow food, herbs and flowers. One of many raised perennial beds. Tromboncino Italian Zucchini trailing into the woods and covering an old iron drum. 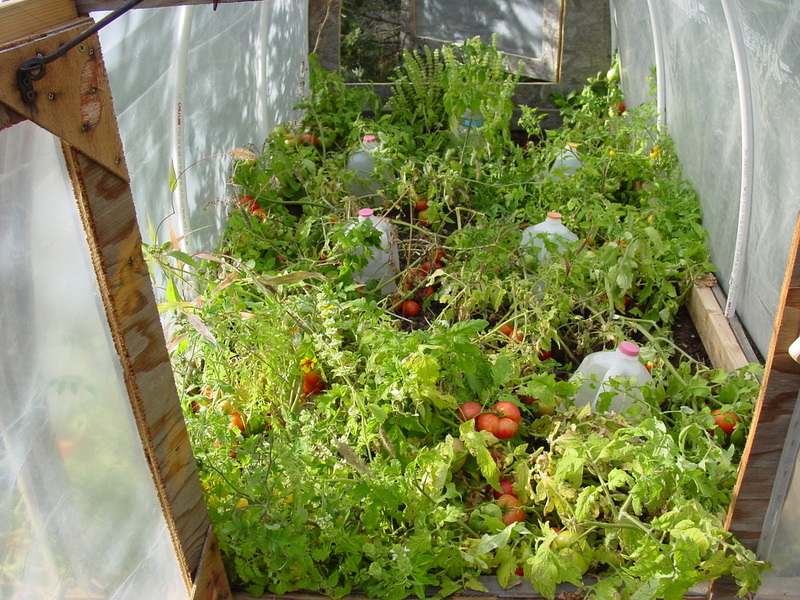 4' X 8' Box Bed with Hoop - Tomatoes inside. 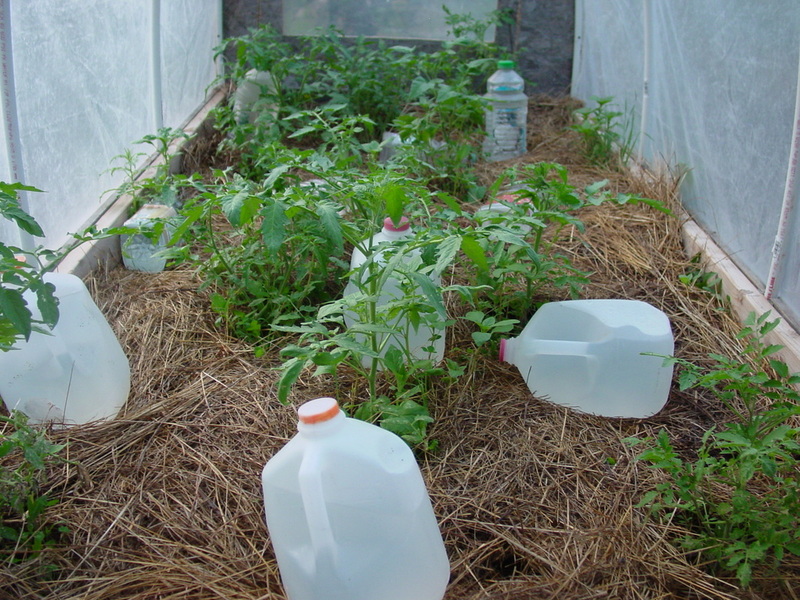 Inside the hoop - mulch + water jugs to warm the young tomatoes. At the end of the season - inside the hoop - heaven! A toppled over 'Moscow' - determinate tomato - divine. Penn's Garden and dry-stacked rock. Relay planting of Chinese Cabbage and Broccoli. 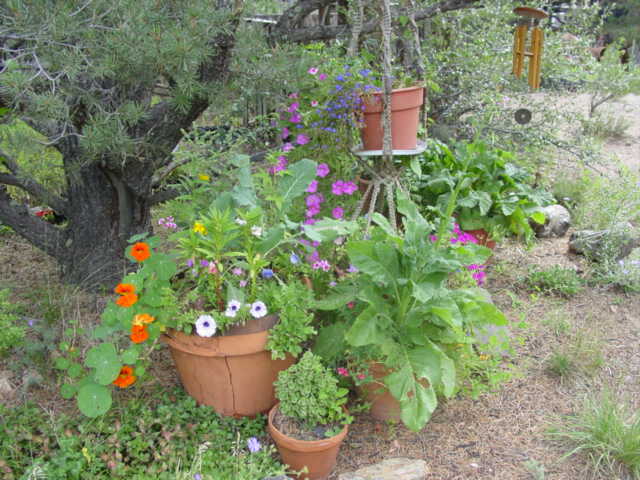 Grow food, herbs and flowers in containers under the trees. In the hot, sunny open, grow sun-lovers. White Nicotiana blooming and fragrant at night. The tall yellow wildflower is Bahia dissecta. Cord's Bio-Intensive Garden - Down in the Rich Bottom-land Soil. That's Penn in the bottom left corner - in Cord's Garden. Potatoes, Wild Cleome, Beans and Marigolds. Jugged cool loving starts under a single-layered hoop. Same hoop - by May 1st in the mountains. 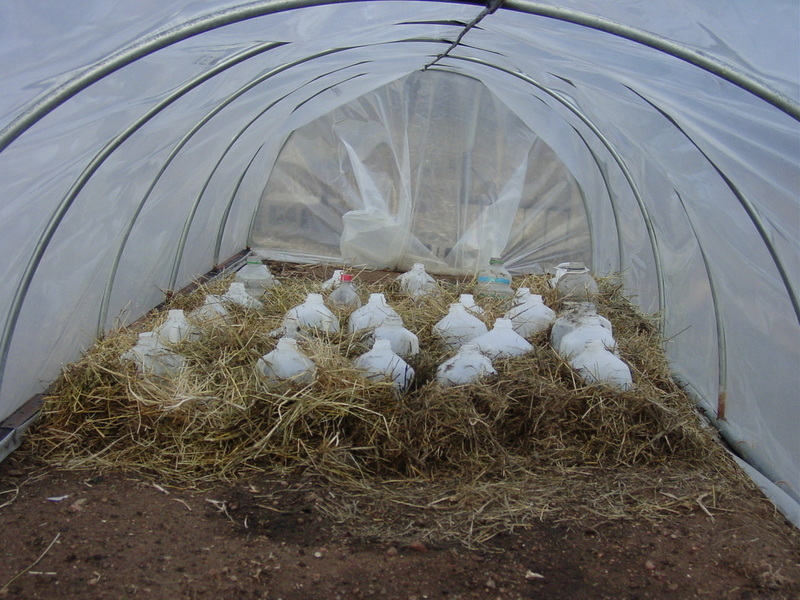 Very early warm and cool loving plants - the hail guard replaces the hoop. 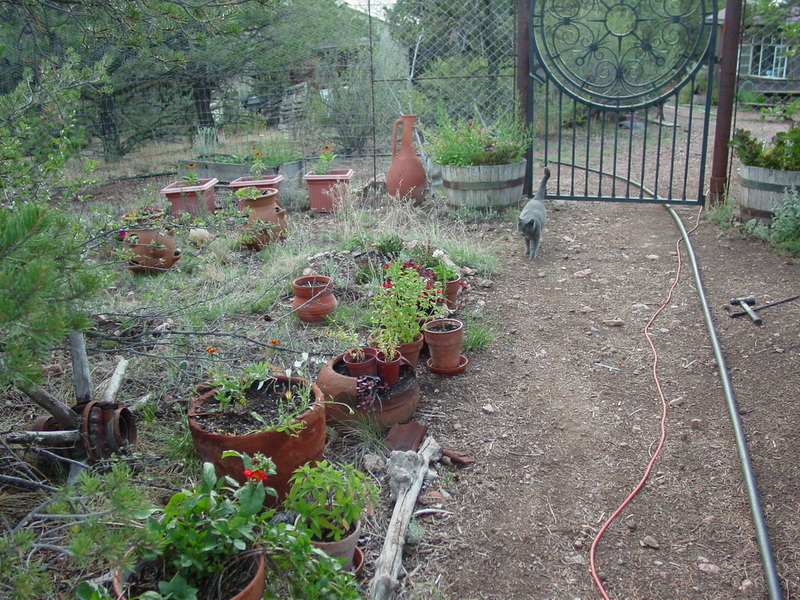 Tomato house, jugged squash and the hoop moves down the mountain. 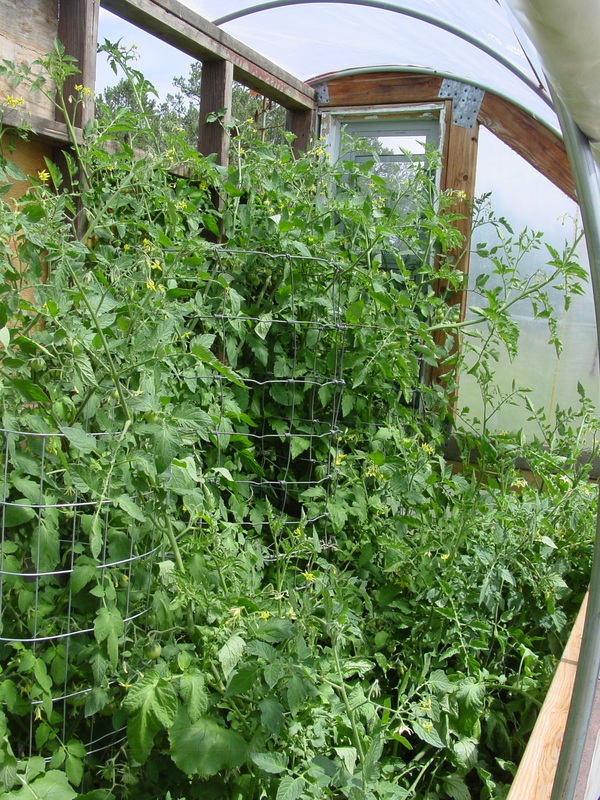 Taller Tomato House in action - closed up at night. Inside the second tomato hoop. We lift the hoop with the corn - and then we remove it..
Grow a Pumpkin bigger than your head - in the open - at 8,120 ft.!!! Winter Squash and Corn lovin' the sun.